Question the Ottawa Landscaper You’re About to Hire! Whether you are looking to improve your existing property by cleaning up the exterior, or you are putting the finishing touches on a brand new home build, landscaping is an important part of the building process. In many cases, when a project goes beyond trimming a few hedges and painting an aging fence, it’s time to call a professional Ottawa landscaping company. Before you go and call just anyone, you should first understand that there are a lot of different types of landscaping companies in Ottawa to choose from. And you’ll want to vet the Ottawa landscaping company you’re going to hire by asking them a few key questions. Follow this question up by asking how many years of experience the landscapers have doing the specific task you are looking to have done. Keep in mind that many landscapers play on the fact that lawn cutting is considered landscaping in some areas, and just because he or she says they have been involved with landscaping for X amount of years, this doesn’t necessarily mean they have been installing certain types of projects for the same amount of time. Can you design AND build the project? Just like there are home designers and home builders, there are landscape designers and landscape builders. There are also companies who do both aspects of the job. Make sure you know who you’re dealing with! This is important since the design and build firms know all the limitations of the designs and products, and can make fast, effective, responsible decisions without having to consult a third party (the landscape designer). The expense of hiring both a designer and a builder is usually avoidable, since many landscaping companies carry out both the design and build portions of the project at hand any way. Can you show me your design plans for my project? When it comes to figuring out a plan for your backyard makeover, a lot can be achieved by numerous discussions and tours of photo galleries, but an actual mockup of the design elements in your backyard is critical for all parties. Find out if these mockups are included in the landscaper’s quote or free estimate. Being able to see for yourself what it all looks like gives you more of an opportunity to hammer out the perfect design before any trees are chopped or any holes are dug. By building for the future and keeping the additional phases of the project in mind, you can save yourself from having to take apart and reinstate a finished portion of your overall plan. Don’t mistake a landscaping company’s online portfolio for real references. Find out if the company is willing to share actual references with you. Contact these references only if you feel inclined, but at least find out how the company reacts when you ask for them. The last place you want to end up is on the 6 o’clock news with a horror story about how you didn’t ask the people responsible for the botched job in your backyard for references. Will you be onsite and involved in the entire process? Oftentimes when you’re talking to a larger landscaping company, you’re speaking with someone in the sales division. Things might be going well, and you’re feeling more and more like a good relationship is developing, until the day the work begins, and the person you’ve been talking to for a while is nowhere to be found. This can be alarming and disappointing, so skip this feeling from the get-go by finding out if the person you’re speaking with directly will be the one facilitating the work. Sometimes it’s obvious, but not always! Who is responsible for the site production while the work is in progress? What levels of communication are implemented between all those involved? Although this information probably isn’t critical in your decision of who to hire, it’s good information to have and it might narrow down your choice. You’ll want to make sure you’re kept up to speed on the project and that the person responsible for the work in progress is someone you feel you can trust, someone who can make good, honest recommendations, and someone who sees your vision. Are you and your employees insured, and how many workers will be on site? Basic homeowner’s insurance doesn’t always extend to trade workers. You need to make sure that if an accident occurs on your property, you are not on the hook for any damages, to people or the property itself. Will you be using sub-contractors for any aspect of the project, and are they insured? Likewise for sub-contractors. 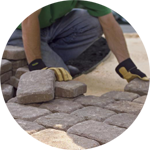 Some landscapers have to outsource some of the more niche elements of the job, like when they require technicians to wire up patio lighting or install a water fountain, for example. Find out everything you can about the sub-contractors who will be showing up for the project. In many cases, your dream backyard may have to be worked on in a few phases over a long period of time. Depending on the scope of your project, the landscaper might require a down payment for materials. Also find out how long the plan will in fact take, since many landscapers get busy. You’ll want to make sure the payment schedule gels with the construction schedule so all parties win at the end of the day. Landscaping can be a fairly substantial investment, which is why a lot of time and energy should be spent on looking for a skillful, trustworthy Ottawa landscaping company to suit your needs. Fortunately, deciding on the right company is the hardest part. Once that decision is made, it’s time to sit back and watch as your outdoor living space dreams come true! To find out more about the landscaping process or to discuss your dream backyard, please contact Ottawa Home & Garden at 613-833-2645. We are an Ottawa landscaping company who has been serving Ottawa and surrounding areas since 1999.